New York - Aretha Franklin has a lot more than her 70th birthday to celebrate: She says she's reuniting with one of her music mentors, Clive Davis, for a new album. Franklin told The Associated Press at her birthday party on Saturday in New York that she and Davis will be working on music once again. Davis helped engineer Franklin's comeback in the 1980s. The music mogul was one of her guests at the soiree. Others in attendance were Diane Sawyer and the Reverend Al Sharpton. 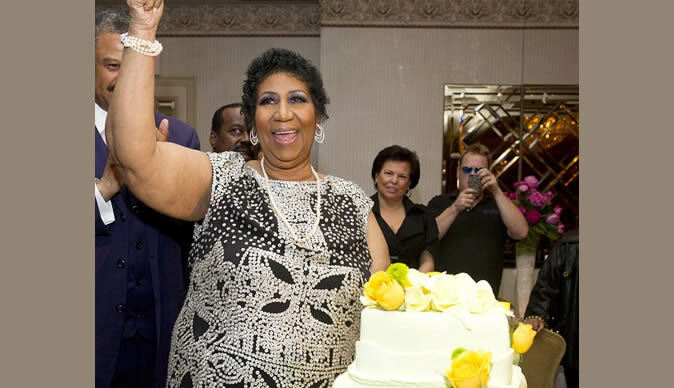 The Queen of Soul - whose birthday actually is on Sunday - also joked that she was turning back the hands of time. She told her guests: "I was wondering, 'What is it going to be like to be 50?' I can tell you now, it feels like 40..